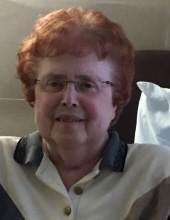 Janice Helen Yeitz, 75, passed away at Day Kimball Hospital on November 2, 2018. Janice was born on March 24, 1943 to Lawrence and E. Jeannette Weaver. She was married for 37 years to Patrick Joseph Yeitz, Jr. She worked 26 years at William Prym in the packaging department, and 19 years at Day Kimball Hospital as a Home Health Aide. Besides her husband, Janice is survived by her step-children, Brian Yeitz and wife Judy, Brenda Sanborn and husband Tim, Linda Theriault and husband Robert, as well as 7 grandchildren and 1 great grandson. She was predeceased by her brother, Wayne Lawrence Weaver. She is survived by her brother, Bruce D. Weaver and wife Peggy and her sister-in-law, Carol Weaver. She is survived by her nieces, Amy Shatney and husband Scott, and nephews, Jonathan Weaver and wife Katie, and Mark Weaver and wife Nancy. She is survived by close friends. In the past, Janice enjoyed dancing and camping. She was a loving wife, step-mother, sister, aunt, grandmother and friend. She loved her dogs (Lacey & Nicki) and cat (Micky). She was a passionate QVC shopper and generous gift giver. She enjoyed the holidays and gathering with the family. A memorial service will be held at Tillinghast Funeral Home 433 Main Street Danielson at 10:30 am, immediately followed by a graveside service at High Street Cemetery Dayville on Saturday, November 17, 2018. In lieu of flowers, memorials may be made to the American Cancer Society. A Special thanks to the staff at Westview Health Care Center in Dayville, CT.
To send flowers or a remembrance gift to the family of Janice Helen Yeitz, please visit our Tribute Store. "Email Address" would like to share the life celebration of Janice Helen Yeitz. Click on the "link" to go to share a favorite memory or leave a condolence message for the family.